Newsletter update ... Are you in, or out? This morning I sent out my latest newsletter installment detailing info about the NEW COVERS and the NEW BOOK and a few shots from our trip to NYC for the Westminster Kennel Club Dog Show, which was fun and super crazy. I’m trying out MailerLite, which is a different email/newsletter provider than I’ve been using, since a lot of my friends use it and rave about its functionality. We shall see how that goes over the next little while. With that said, this ALSO means I am doing a major scrub of my email list. If you received my newsletter today, then cool — you’re still on my list. If you DIDN’T receive it and you WANT to receive future emails, then please go and sign up/opt in again. If newsletters aren’t really your thing, but you want to stay in the loop about what’s coming up for Eliza Gordon, you can always check out our closed Facebook Group called Love & Cake. Your call! 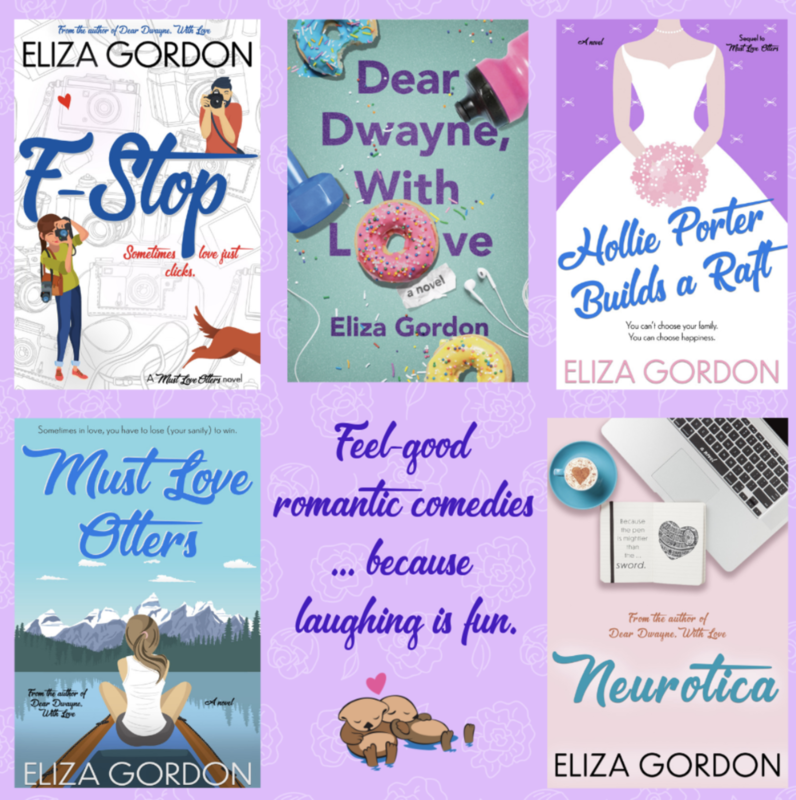 I’m looking forward to having some really cool news here shortly regarding the next Eliza Gordon release (F-Stop), a collaboration project that I think you will TOTALLY adore, and possibly even a box set of the Revelation Cove books (fingers crossed! ), which would include Must Love Otters, Hollie Porter Builds a Raft, and F-Stop. Wouldn’t that be cool?! I hope spring isn’t beating the crap out of your daffodils. Until next time, stay afloat.